This article has been published by Dr Rabah Saoud on www.MuslimHeritage.com in May 2002. We present it to our readers in a new editing for further information on the arch, an important and influential feature of Islamic architecture. Perhaps no culture mastered the design and use of the arch more than the Muslims. Inheriting earlier arch forms from the Greeks and the Romans, Muslims developed a variety of new shapes including the horseshoe, multi-foil, pointed and the ogee arches. The passion they had for this motif is due to the regularly mystical/symbolic meanings associated with it, as well as its functional advantages. Their architecture uses it as a major structural and decorative feature. The arch soon spread to all cultures, progressively becoming a global architectural motif. This article explores the significance of the arch, Muslims' understanding of it, and its transfer to Europe. The arch was an essential element of the architecture of early civilisations. The Egyptians and the Greeks used lintels, but the Romans and later the Byzantines adopted the semi-circular arch. Structurally the thrust, in a simple arch, is exerted vertically by the weight of the masonry and any other superimposed loads above the arch, and horizontally by the cumulative wedge action of the voussoirs. This action gives the arch elasticity, which enables it to reach a balance corresponding to the thrust. This condition is comparable to that of a hanging load chain; "the arch stands as the load chain hangs". In the Muslim world this characteristic is better described by the proverb "the arch never sleeps". On the other hand, these characteristics reduced the thrust on a few points, but these could be easily enforced by other means. This relieved support to other areas and permitted the construction of lighter walls and vaults, saving a considerable amount of material. Visually the arch was an important decorative feature that was transmitted from architectural decoration to other forms of art, especially furniture. The Muslims mastered the use and design of the arch more than any other civilisation. Scot (1904) related their love for this motif to their love of the palm tree. They imitated the curve of its graceful branches in their constructions. Nevertheless, one cannot ignore the mystic meaning derived from the spherical nature of the universe and the divine symbolism of the dome from which the arch is derived. The Muslims' knowledge of geometry and laws of statics must also have played a leading role in their choices of various types of arch. The arch was first employed for structural and functional purposes but progressively it became used for decorative purposes. The first Muslim adaptation and modification of the design of the arch was the invention of the horseshoe arch. This was first employed in the Umayyad Mosque of Damascus (706-715, figure 1) (Briggs, 1924). There is a suggestion that the horseshoe arch was derived from the symbolic use of the horseshoe in earlier ages where it represented a superstitious emblem for many societies (Jairazbhoy, 1973). The use of the horseshoe as a protector against the evil eye in North Africa is maintained to the present day. They are often mounted onto front doors of houses. A similar symbolic use is manifest in India and many other parts of the world. However, this suggestion should be dismissed because Islam categorically rejected such superstitious beliefs; they could not have been an inspiration to the early Muslims when they designed this arch. The horseshoe arch allowed more height then the classical (semi-circular) arch as well as better aesthetic and decorative use. Muslims used this arch to develop their famous ultra-semicircular arch, around which the whole of Muslim architecture evolved . Figure 1: Horseshoe arches in the Umayyad Mosque in Damascus (northern arcade of the courtyard and the Minaret of the Bride). (Source). The introduction of the horseshoe arch into the Great Mosque of Cordoba in Spain (Great Mosque 756-796, figure 2) opened the way for its transmission to Europe through the northern Christian regions of Andalusia. This process started with the Mozarabs (Spanish Christians living in Andalusia) migrating between Andalusia and Northern Christian areas of Spain. Among these were artists, scholars, builders and architects who brought with them Muslim methods of building and architectural forms and motifs including the horseshoe arch (Trend, 1931). The result was the appearance, in northern Spanish regions, of a large number of religious edifices in a Moorish style with horseshoe arches. For instance, St Miguel de Escalada, near Leon, was built by monks arriving from Cordoba in 913. Among the features it had were the melon shaped domes and the horseshoe arches (Dodds, 1994). The horseshoe arch had also been illustrated by Mozarabs in their illuminated manuscripts such as the one of Beatus of Lebana. Historic sources indicate that the illuminator of this manuscript, named Magins, worked at the monastery of St Miguel de Esacalda. The church of St Cebrian de Mazote, also founded by Mozarab Cordoban monks in 921, reveals similar planning, structural and decorative elements of that of St Miguel de Escalada with a basilica plan, horseshoe arches, tripartite choir and horseshoe shaped apses (Dodds, 1994). Figure 2: The horseshoe and the cinqfoil arches on main façade, Cordoba Mosque. (Source). Further development came in the 8th century when Muslims used, for the first time, the transverse arch in the Palace of Ukhaidir (720-800) setting precedent for its universal use. After the adoption of the pier as a replacement of the classical column, Europe embraced this arch in the 11th century. Here, the arch was thrown from each pier of the arcade to the wall of the aisle (figure 3). There is no clear evidence on how and when this arch was transmitted to Europe where it is considered to be the first step revolutionising the way churches were built. The use of the transverse arch over the nave not only provided greater safety and durability but also gave the final shape of the nave especially in terms of height and roof. This feature represents a fundamental structural step in the process of development of Gothic. It led to the adoption of ribbed vaulting which progressively enabled the vaulting of the nave and evolving the compound. 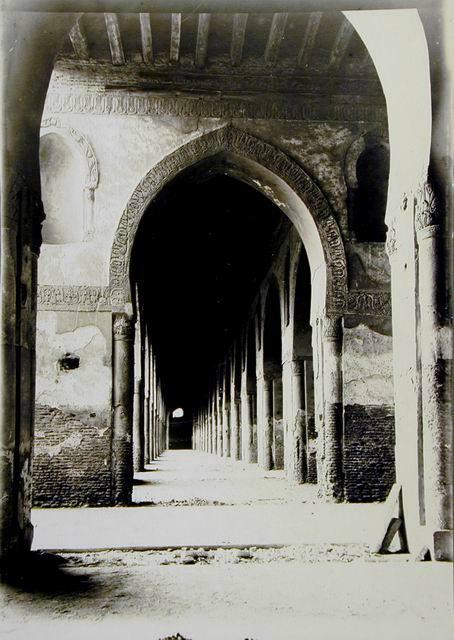 Figure 3: Arcade of transverse arches in Mahdia Mosque Tunisia (11th century). (Source). Rivoira (1914) believed that the pointed arch first occurred in India, carved out of some solid blocks in some 7th-century temples concurring with Havell (1913) who related the pointed arch to the niches of early Buddhist temples. They pointed out that Indian artists are known to have worked for Harun al-Rashid in Baghdad and Indian merchandise was sent to Egypt and Syria. However, Indian origin of the pointed arch and its passage to Syria and Egypt through Sassanid Iran has been already dismissed by Hill (1993), who rightly believed in the Muslim origin of the pointed arch. The first appearance of the pointed arch in the Muslim World was traced to the Al-Aqsa Mosque  (780, figure 4), the Ukhaidir Palace (Iraq, 778), the Ramlah Cistern (789) and the Jussaq Al-Khaqani Palace (Samara, 836), all of which where Abbasid buildings. However, the Ibn Tulun Mosque (Egypt, 879) remains the first building where the pointed arch was used constructively and systematically. The main advantage of the pointed arch was that it concentrated the thrust of the vault on a narrow vertical line that could be supported by flying buttresses, a major feature of European Gothic architecture. The pointed arch enabled reduction of the lateral thrust on the foundations. In Gothic architecture, it enabled architects to lighten the walls and buttresses, which had to be massive to support earlier semi¬circular arches . Additionally, it resolved the difficulty of achieving level crowns in the arches of the vault, allowing the vault to become suitable for any ground plan. To tackle the problem of height, Muslims employed a variety of techniques, in addition to the pointed arch. The method used in Kairawan Mosque  (836) is revealing. Here, in order to gain a crown level of height, masons have raised the arcade of narrow areas above the arcade of wider areas as shown in figure 5. In the Great Mosque of Cordoba, a more impressive method consisting of intersecting arches and the construction of a second arcade on top of a first lower level arcade was introduced (figures 6 & 7). These clearly show the genius as well as the rational thinking in addressing various architectural problems. Figure 4: The Al-Aqsa Mosque inspired the Crusaders to imitate the Muslim pointed arch in Europe. (Source). Figure 5: Raised arcades along the Kairawan method inside the Mosque of Uqba also known as the Great Mosque of Kairawan, city of Kairawan, Tunisia (Source). Figure 6: Raised semi-circular arches, Cordoba Mosque. (Source). Figure 7: Trifoil and semi-circular arches, Cordoba Mosque. (Source). Historic sources indicate that Sicily played the role of intermediary for the transmission of many Muslim motifs including the pointed arch. Conant (1954) established the Sicilian connection through Amalfitan merchants who had trade links with Egypt where the pointed arch of the Ibn Tulun Mosque (figure 8) must have been the source. White (1971) endorsed this theory  suggesting that it was transmitted to Amalfi in 1000 through commercial and trade ties with Egypt. It was first used in the porch of the Abbey of Monte Cassimo in 1071. This challenges the idea widely accepted in Europe that the pointed arch, on which Gothic architecture was based, was an invention of European architects in their efforts to overcome the static problems in Romanesque vaulting. It is worth noting that while works were being carried out, Monte Cassimo became the retiring place for the Tunisian Christian scholar, Constantine the African. A physician and a distinguished scholar in mathematics, science, and theology, with large experience of Muslim building techniques and forms in Fatimid North Africa, Constantine would have undoubtedly advised on the building process. Furthermore, according to Meyerhof (1931), Constantine had an assistant Arab monk nicknamed "the Saracen" who helped him in translating Arabic books. Such connections give credibility to this theory. Figure 8: Ibn Tulun Mosque was a source for the transfer of the pointed arch to Europe. (Source). In 1083, St. Hugh, the Abbot of Cluny (Southern France) visited Monte Cassimo, five years before the work on the third Church of Cluny started (1088-1095). Conant (1954) revealed that the new church of Cluny used some 150 pointed arches in the aisles. Other Muslim features included the use of catenary vaulting, poly-foil cusps framing the triforium arches, and the rectangular frame enclosing the arch of the gate (1109-1115), known as Ijmiz (destroyed in 1810). In 1130, Abbot Suger visited Cluny and between 1135 and 1144 he and his engineers built St Denis, the first Gothic building. The adoption by Cluny and Monte Cassimo, the two most influential churches in Europe, of the pointed arch and other Muslim forms encouraged the rest of Christian Europe to adopt it leading to its rapid spread across much of France, especially the south; later to Germany in the mid 12th century (Heer 1962, p. 332), and eventually to the rest of Europe. This brief story is an example of the way a great number of Muslim architectural elements found their way to Europe where they provided solutions to many practical and intellectual problems. The Muslim arch was described as to never sleep due to its structural and decorative functions as well as its universal adaptability. A survey of world architecture would show its widespread use whether in the form of a semi¬circular, horseshoe, pointed, ogee, cusped or multi-foil arch. The arch demonstrates the positive contribution of Muslim architects to human civilisation. Arnold, T. et al. (1931). The Legacy of Islam, Oxford: Oxford University Press, pp. 155-179. Briggs, M.S. (1924). Muhammadan Architecture in Egypt and Palestine, Oxford: Clarendon Press,. Conant, K. (1954). "Medieval Academy Excavations at Cluny", Speculum, vol. 39. Dodds, J. D. (1994). Architecture and Ideology in Early Medieval Spain, Pennsylvania State University Press, USA. Havell, E. B. (1913). Indian Architecture: Its Psychology, Structure and History. From the First Muhammadan Invasion to the Present Day, London: J. Murray. Heer, F. (1962) "The Medieval World- Europe 1100-1350", Translated from German by Janet Sowd Heimer, London: Weidenfield & Nicholson. Hill, D. (1993). Islamic Science and Engineering, Edinburgh: Edinburgh University Press. Jairazbhoy, R. A. (1972). An Outline of Islamic Architecture, Bombay/London /New York: Asia Publishing House. Meen, V. B. and Tushingham. Reprint Oxford: Oxford University Press, 2003. Meyerhof, M. (1931). "Science and Medicine", in Arnold, T. et al. (1931), The Legacy of Islam, Oxford University Press, pp. 311-355. White, Lynn Jr. (1971). "Cultural Climates and Technological Advances in the Middle Ages", Viator, vol.2, pp. 171-201. Richmond, E. T. (1926). Moslem Architecture 623-1516: Some Causes and Consequences, London: The Royal Asiatic Society. Rivoira, G. T. (1914). Moslem Architecture: Its Origins and Development, London-Oxford/New York: Oxford University Press/H. Milford. Scott, S. P. (1904). History of the Moorish Empire in Europe, 3 vols., Philadelphia: J. B. Lippincott Company. Trend, J. B. (1931). "Spain and Portugal", in T. Arnold et al., The Legacy of Islam, Oxford University Press, pp. 1-39. The Romans were the first to use it but the Muslims improved its form. Al-Aqsa was built by Omar ibn al-Khattab, the second caliph of Islam in 632. It was later improved in 780. The semi-circular vaulting caused some static problems in covering such large and irregular areas. She also traced the pointed arch to India in the 2nd century CE. According to her, it was transmitted to Persia and then to Syria and Egypt.